2015 INSTRUCTORS: Brian Fisher (Coordinator), California Academy of Sciences; Stefan Cover, Museum of Comparative Zoology; Flavia Esteves, California Academy of Sciences; Bob Johnson, Arizona State University, Tempe; Josh King, University of Central Florida; John LaPolla, Towson University; Jack Longino, University of Utah; Corrie Moreau, Field Museum of Natural History; Scott Powell, George Washington University; Andrew Suarez, University of Illinois;James Trager, Shaw Nature Reserve; Walter Tschinkel Florida State University Tallahassee;Phil Ward, University of California Davis; Special Guests: Raymond Mendez, Howard Topoff. COURSE OBJECTIVES. – ANT COURSE is designed for systematists, ecologists, behaviorists, conservation biologists, and other biologists whose research requires a greater understanding of ant taxonomy and field techniques. In 2014, emphasis is on the identification of the ant genera and species occurring in the Asian tropics. Lectures will include background information on the ecology, life histories and evolution of ants. Field trips emphasize collecting and sampling techniques, and associated lab work focuses specimen preparation, sorting and labeling. Information on equipment, literature, and myrmecological contacts are also presented. COURSE SIGNIFICANCE. – Ant Course is a unique opportunity to acquire training that is unavailable elsewhere. 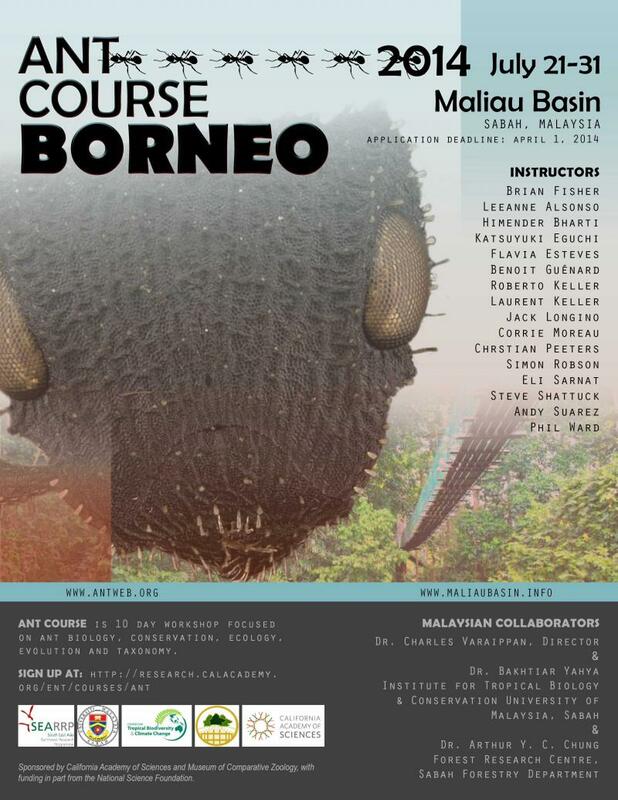 This course will provide students with 1) the confidence and skills to identify Southeast Asian tropical ant genera; 2) an understanding of modern specimen processing and curation techniques; 3) an appreciation for the biological diversity of ants; and 4) experience keying to the species level. LOCATION. 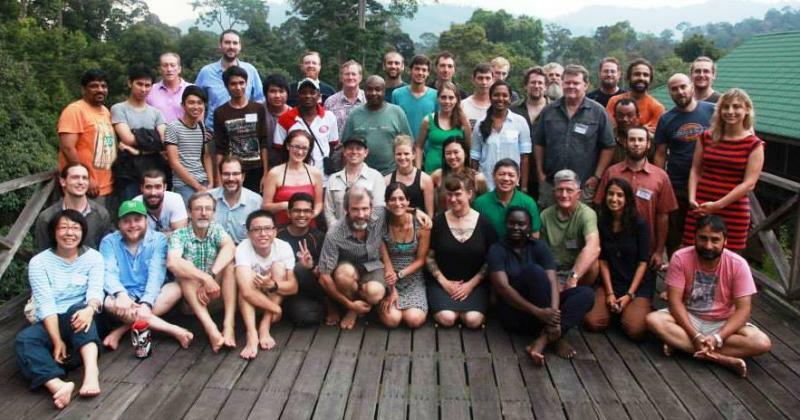 – ANT COURSE will be based at the Maliau Basin Studies Centre in in Sabah, Malaysia. The Centre is part of the Maliau Basin Conservation Area that includes 12 forest types, comprising mainly lower montane forest dominated by Agathis trees, montane heath forest and lowland, and hill diperocarp forest. COSTS. – Course fees for the 10-day COURSE are $975 for current students (undergraduate and graduate) and $1275 for non-students (postdocs and professionals). Transportation costs between home and Koto Kinabalu, and hotel fees in Kota Kinabalu are to be borne by all participants. 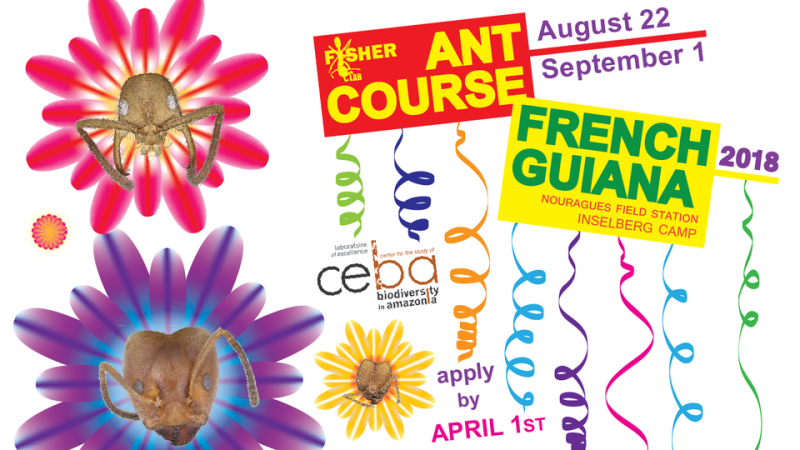 Pay course fees by July 1 at: https://www.calacademy.org/tickets/ant_course/. FELLOWSHIPS. – Those interested in attending the course should seek all possible avenues to secure funding on their own for the course. Each year we strive to raise funds to support a few students by offering discounted tuition fees. You should only apply for the Ant Course fellowship if you cannot find other support and it is essential for your participation in the course. Please notify the course if your funding request status changes before the application due date. You will be notified of your acceptance to the Course around APRIL 15-20. 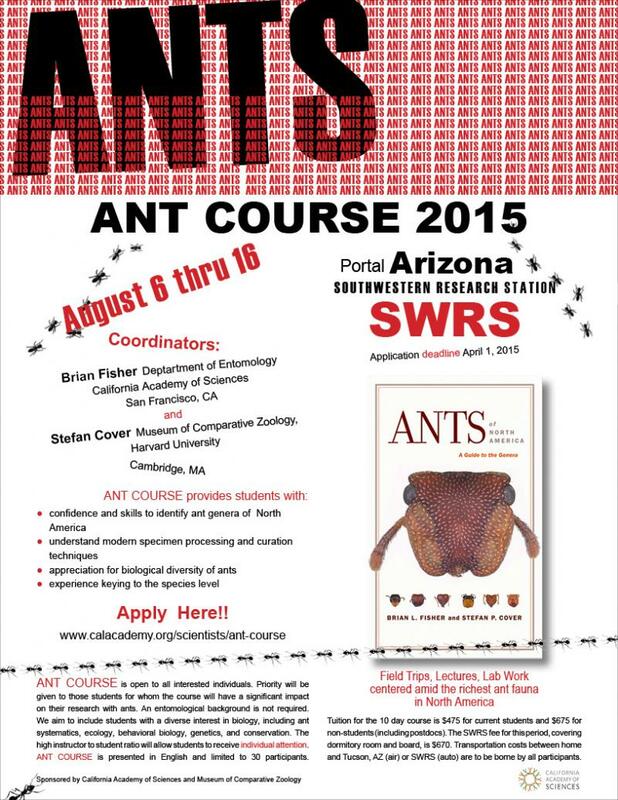 ANT COURSE is limited to 30 participants. Selection of participants will be carried out by committee, based on your reasons for wishing to take the course at this time. Priority will be given to those students for whom the course will have a significant impact on their research with ants. Because the Course is offered yearly, and because many well-qualified candidates are not accepted because of limited capacity, we urge applicants not selected for this session to apply again the following year.